A photo essay by Ed Kashi in the Guardian shows the hard lives of sugar cane workers in El Salvador and Nicaragua and describes the problems of chronic kidney disease and some of the measures to combat the illness. El Salvador's Human Rights Ombudsman David Morales went to El Salvador's Supreme Court on Monday, November 16, the 26th anniversary of the murder of 6 Jesuit priests, their housekeeper and her daughter. Morales was there to file a petition asking the Court to rescind its prior order on extradition of 13 military officers to Spain. A Spanish court has issued an arrest warrant to require those officers to face justice for the Jesuit massacre, but in 2012, El Salvador's Supreme Court refused the Spanish extradition request. Morales petition probably has no more than symbolic significance. The Supreme Court has not changed its composition and is highly unlikely to reverse itself. Also pending in front of the Supreme Court is a challenge to the 1993 amnesty law which has so far prevented the military command from being prosecuted in El Salvador. That challenge has been pending for years with no sign that a decision is due soon. As El Salvador approaches the 26th anniversary of the massacre of the six Jesuit priests at the University of Central America on November 16, 1989, one of the country's award winning authors has just fled the country and sought asylum in Spain after receiving death threats. 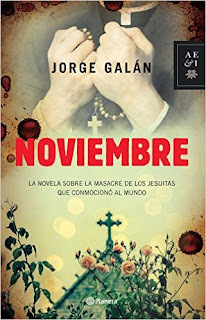 Jorge Galán had just published "Noviembre" in October, which narrates the story of the massacre of the Jesuits, their housekeeper and her daughter and those figures in the military who were behind the crime. On November 1, Galán was attacked by armed men who threatened and insulted him. He is now seeking protection in Spain. Spain is the country where court proceedings are currently pending against twenty military officers of their involvement in the crime. El Salvador is the country where those accused of the crime continue to walk free, safe from extradition and protected by an amnesty law and impunity from ever having to face justice. Looking for any glimmer of improvement in the wave of murders which has hit El Salvador this year, Salvadorans heard from the PNC yesterday that "only" 139 people were murdered in the first ten days of November, for an average of 13.9 per day. This compared to an average of 22.7 per day during October. While acknowledging this was a reduction, Howard Cotto of the PNC cautioned that it was too early to be labelled a trend. While refusing to disclose particular police strategies, Cotto believes that actions by security forces are having a positive effect. At the same time, Cotto dismissed the idea that the reduction in homicides represented a response by the gangs to the call of the IPAZ churches for the gangs to cease their violent actions. 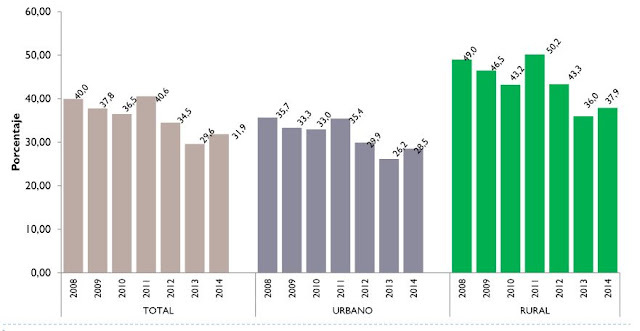 The churches, for their part, see the reduction in homicides as a response to their call for peacemaking. Salvadorans saw a historic event this week as ex-president Francisco Flores sat in a courtroom in San Salvador for a preliminary hearing on corruption charges. Flores was president from 1999-2004. The hearing lasted two days and was covered by swarms of media. The prosecutor outlined his case. 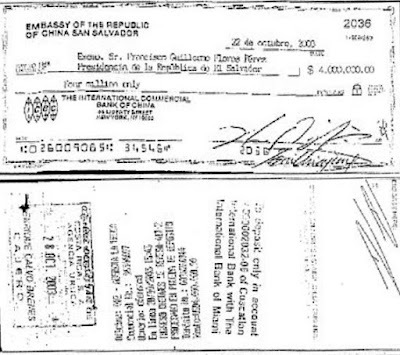 In 2003, $15 million was received in checks made out to Flores form the Taiwan embassy, The checks were taken to Costa Rica, where they were deposited in a newly created account for a supposed institute for political studies. Of the $15 million, $10 was later distributed to Flores' political party, ARENA. The other $5 million went into Flores own pockets. The investigative reporters at El Faro published an exhaustive studying tracing the path of all the funds in October 2014 which you can read here. I have written several times on this blog about IPAZ, the pastoral initiative for life and peace, a group of protestant churches in El Salvador which advocates for dialogue in Salvadoran society, including dialogue with the gangs, as a path towards reducing violence in the society. Looking at poverty this way gives policy makers a much more sophisticated way to think about poverty and recognizes that all of these factors are necessary for citizens to enjoy a sense of well-being. 2015 has been a year in which anti-corruption efforts made significant progress in Guatemala. The battle against corruption was waged by CICIG -- the International Commission Against Impunity in Guatemala. A massive scandal involving the customs system in Guatemala has been exposed and prosecuted. The CICIG obtained indictments of high government officials, the resignation and arrest of the president, and a strengthened civil society. But what about El Salvador? In Transparency International's 2014 Corruption Perceptions Index, El Salvador had a score of 39, on a 100 point scale where 0 is the worst and 100 is the best. With that score, El Salvador ranked 80th out of 175 countries.